How to transfer system to different computer? This article is a tutorial, with AOMEI Backupper, the whole transferring process is easy and safe. Transfer system to different computer is necessary? Is it necessary for ordinary users to transfer system to different computer? I think many people have this question. Why you want to move system to different computer? When you buy a new desktop or new laptop? Why don’t you directly use the new machine? Because you miss your own system. To ensure consistency in using your original system and applications, transferring is a good choice, (because there is no need for you to reinstall system and applications. It is certain that if you buy a new computer, its hardware is different from original one. With the development of computer technology, upgrading of hardware is always very quickly. So when we talk about different computer, it means hardware must be different, the problem can also be said as transfer system to different hardware. Transfer system to different computer is simple? Transfer system to different computer is not only occurred when you buy new computer. If you are a IT administrator who manage multiple computers in the same LAN, when you plan to deploy the same system on these computers with dissimilar hardware, you can try AOMEI Backupper. Besides universal restore function, AOMEI Backupper has a practical utility - AOMEI PXE Boot Tool, with which, you can boot all computers within LAN without hard disk but via network. If one of your hardware breaks down, for example: the motherboard or big storage device. 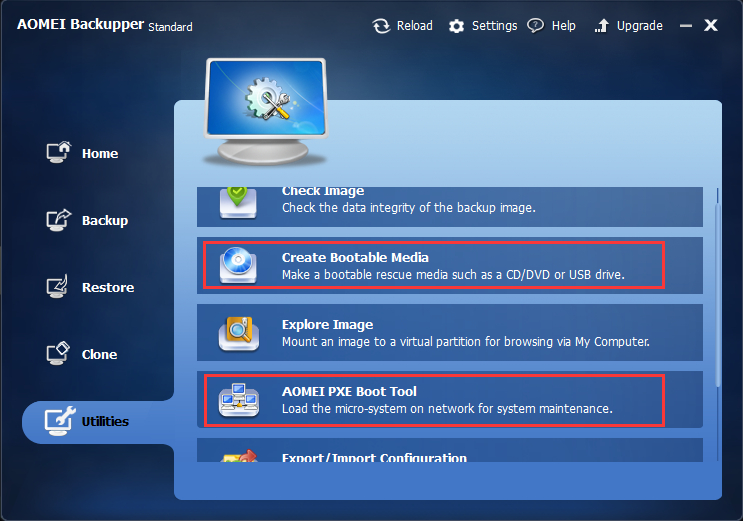 You can do universal restore with AOMEI Backupper and another small tool provided by it - create bootable media&restore system from bootable disc. 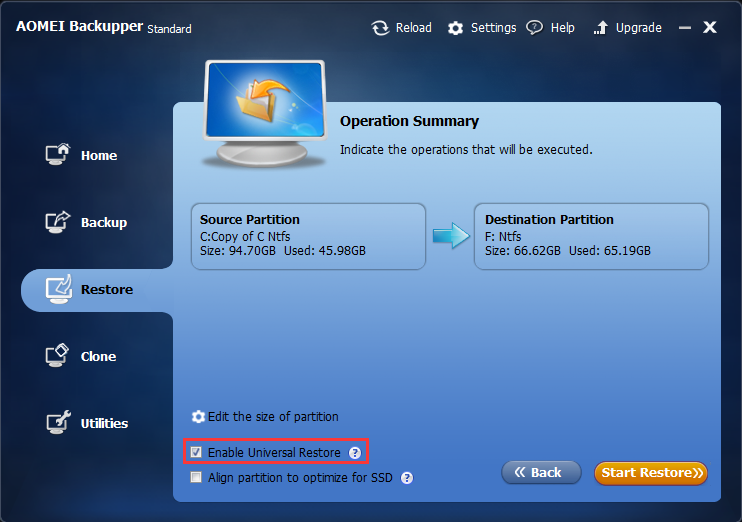 This application helps you boot computer from external hard drive or CD. AOMEI Backupper have many editions, some for Windows PC, some for Windows Server. You can according to your system to choose the one meets your needs. Good luck!